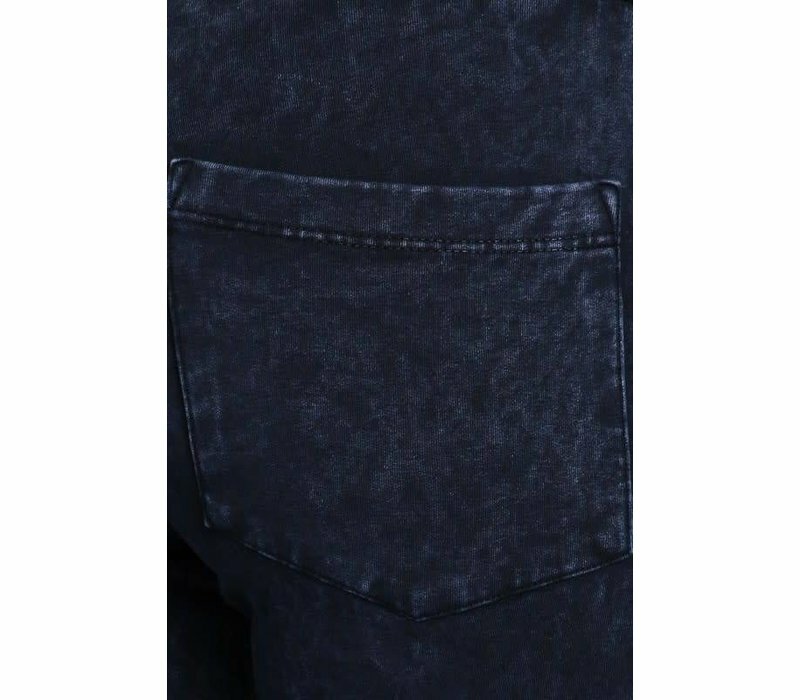 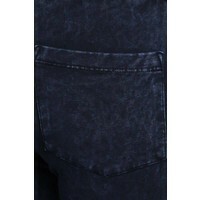 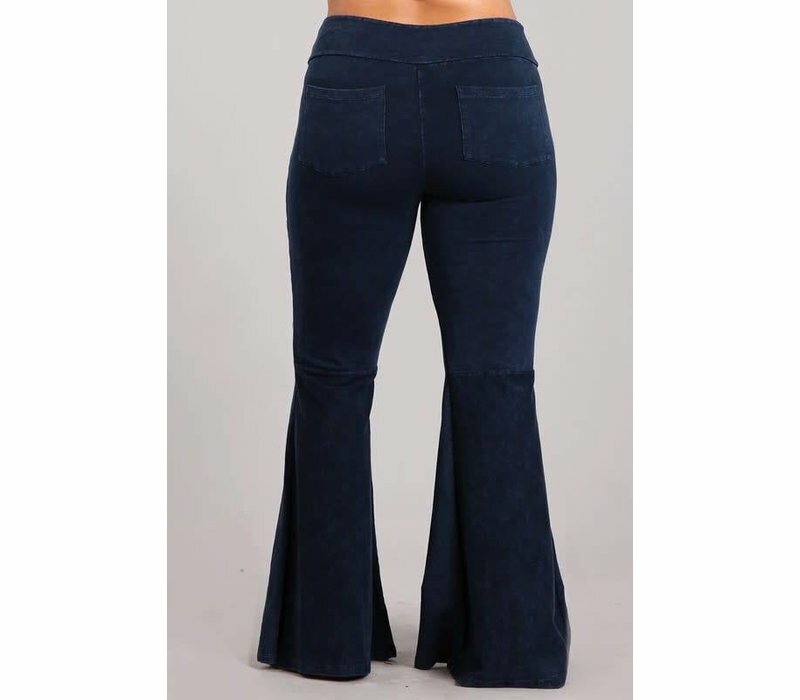 Our faux denim bell bottom jeggings are now available with pockets!! 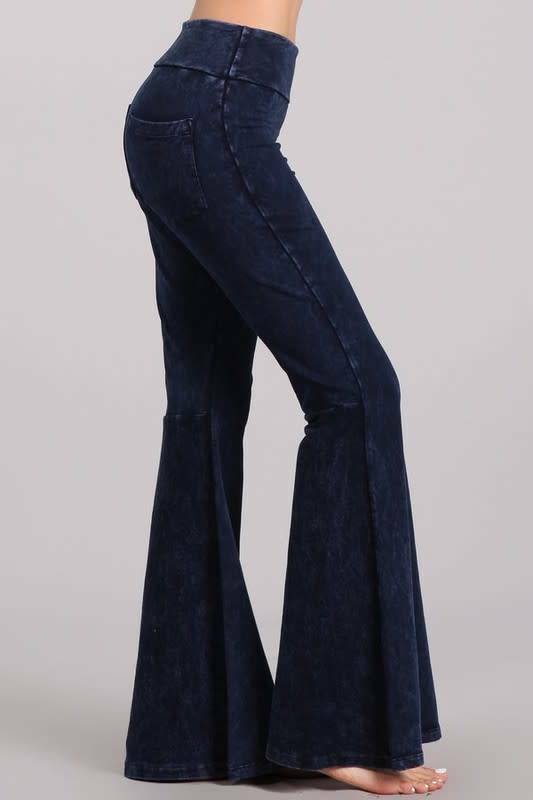 Giving them a finished real denim look, but still made from the softest, stretch fabric we all love. 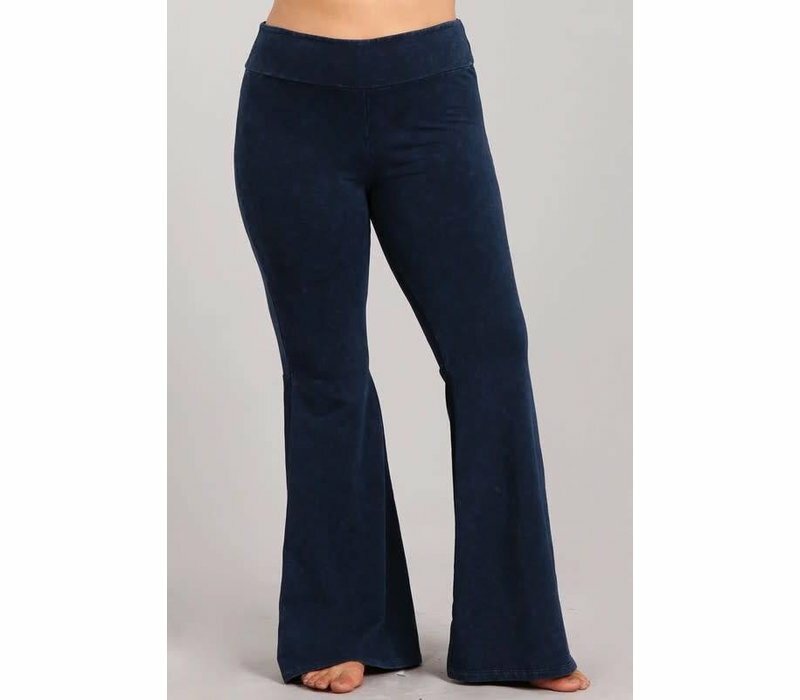 Wide, elastic waist band for a flattering, smooth tummy. 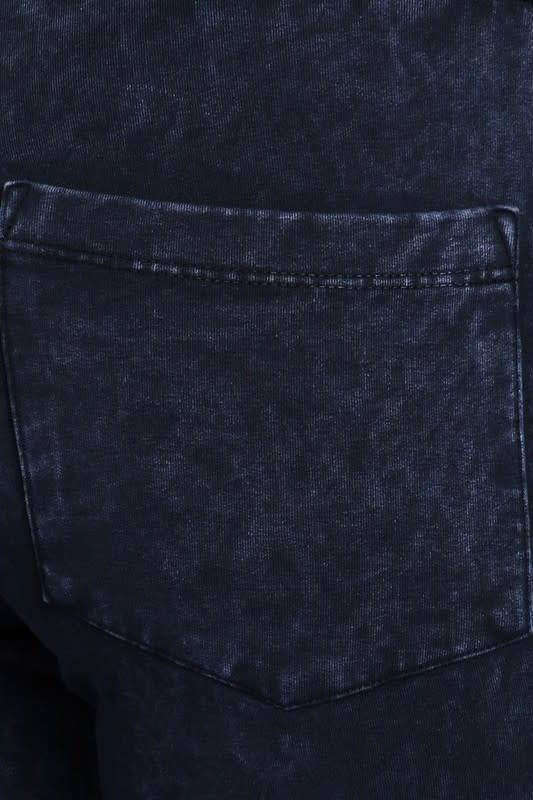 Hand-Dyed in the USA. 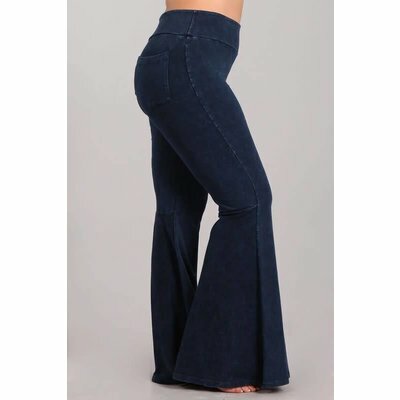 (Due to stretchy nature of pants, most people can often wear multiple sizes in these. 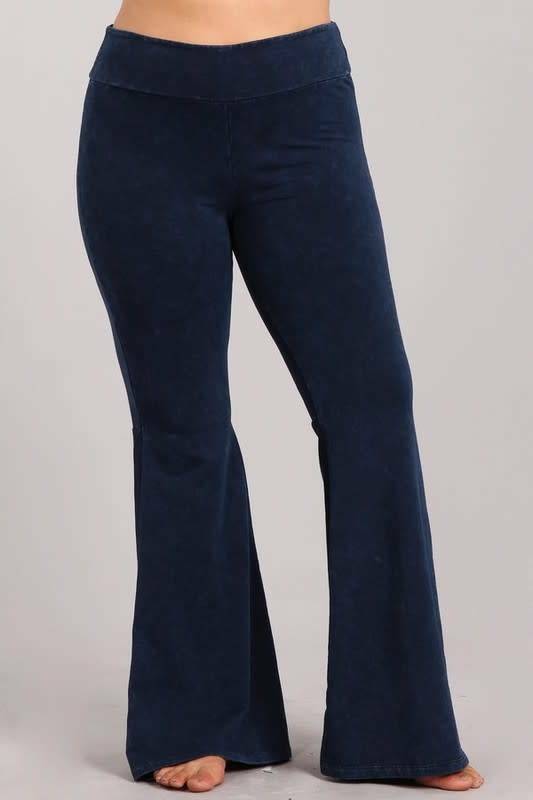 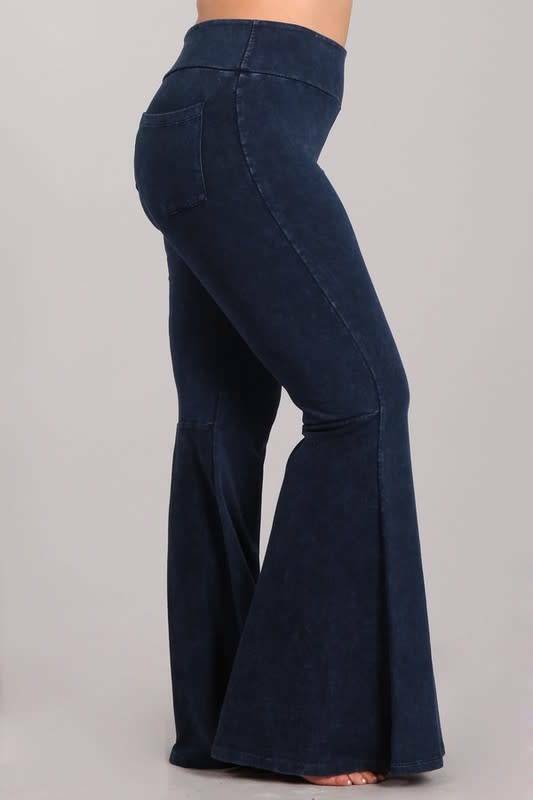 IF you are taller than average, we'd suggest going up one size for length OR looking at our classic electric blue bell bottoms tagged below). 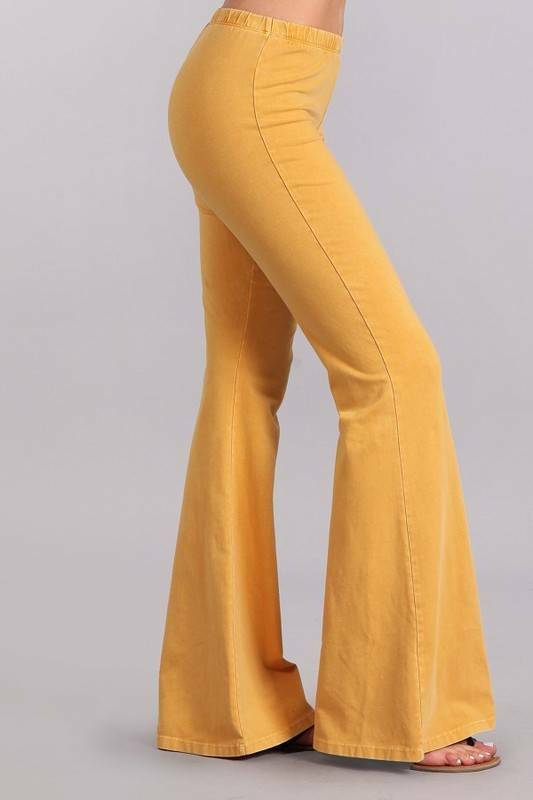 Our favorite hand dyed bell bottoms are back in a brand new color, perfect for spring! 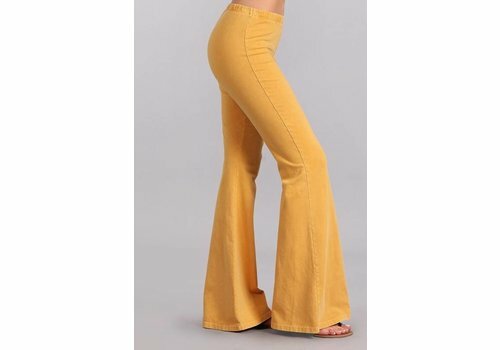 Acid wash mustard yellow, elastic waist band and the most flattering, soft feeling fabric you could ever imagine! 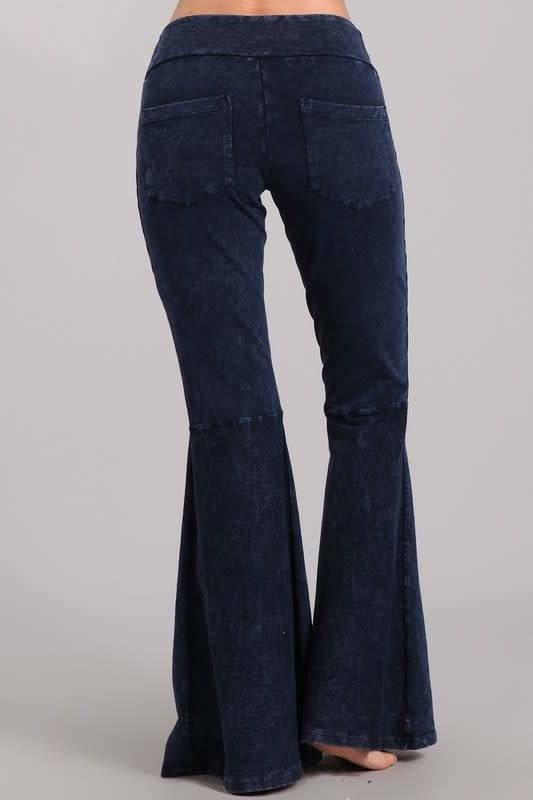 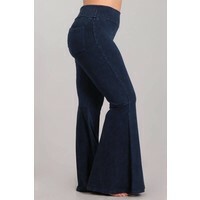 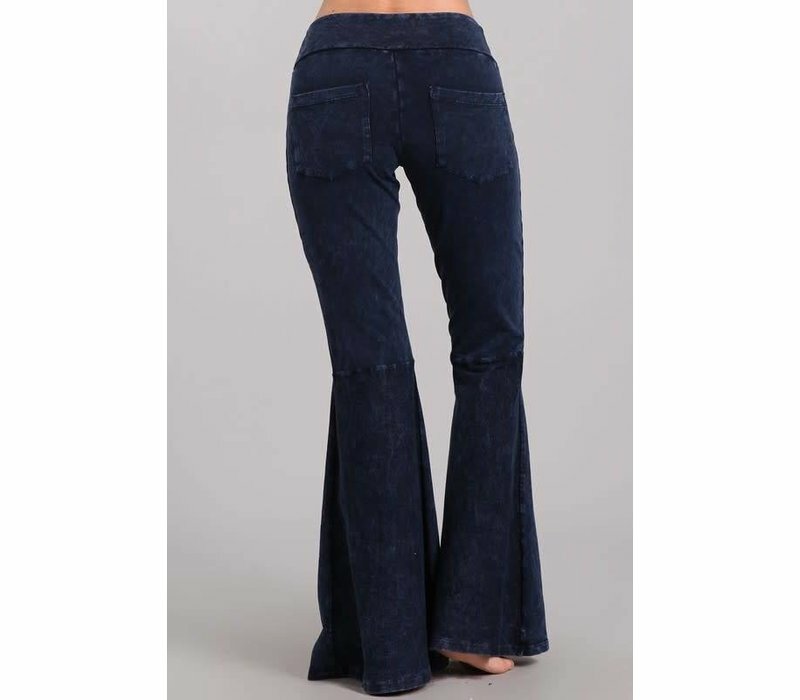 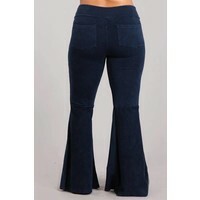 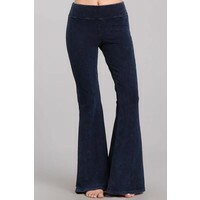 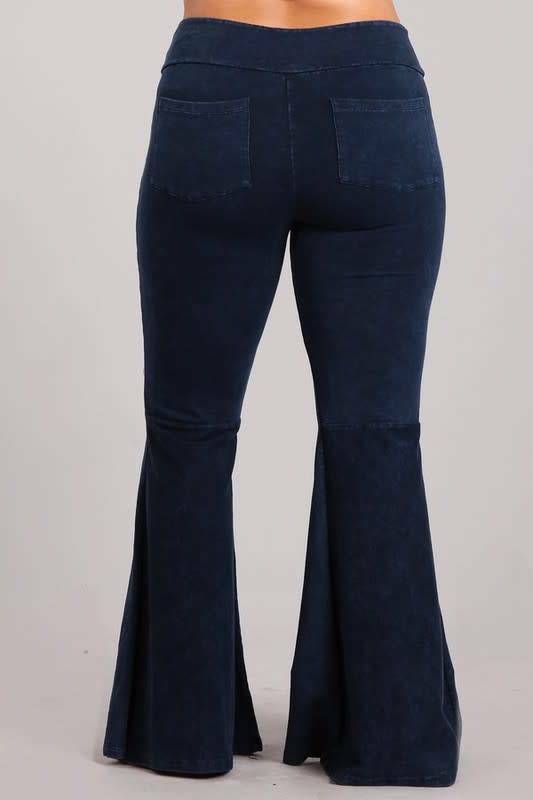 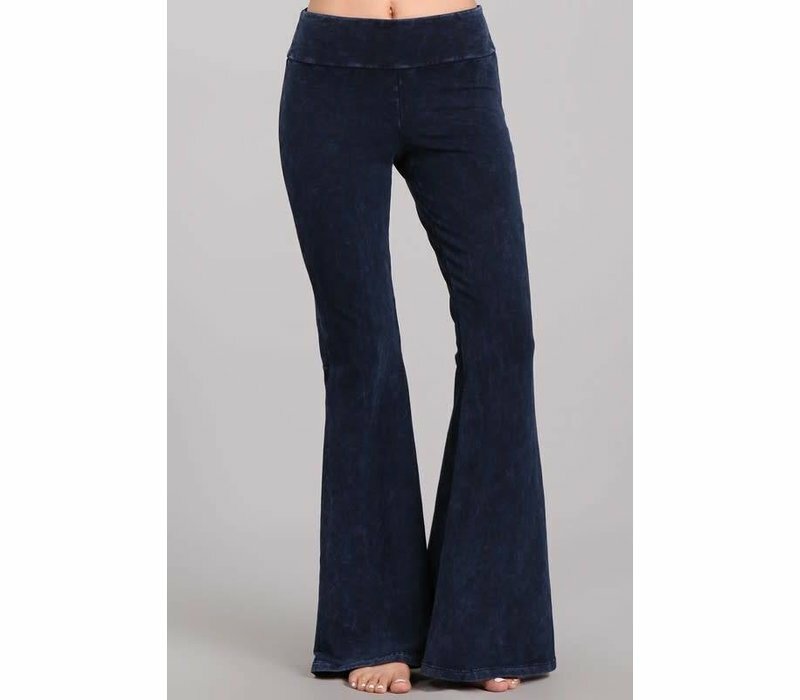 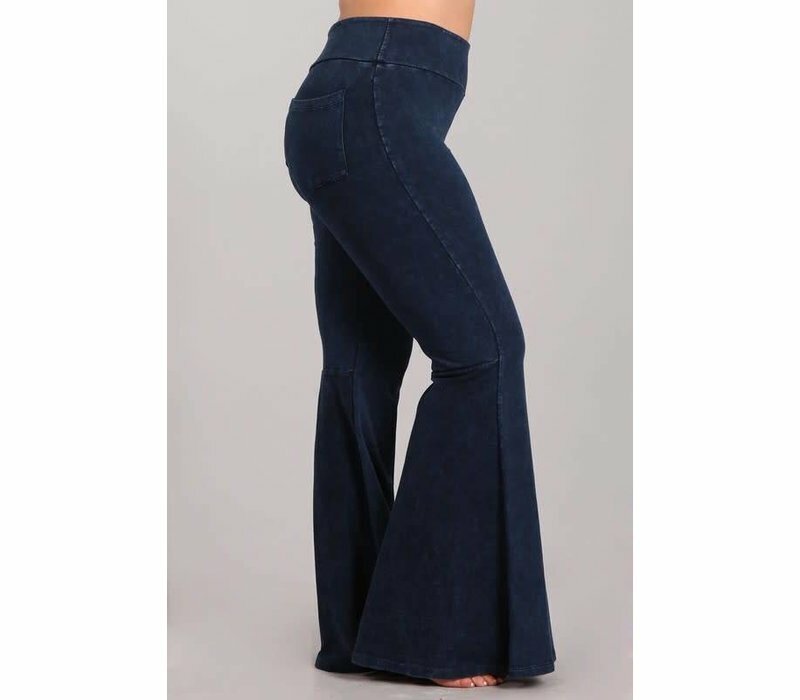 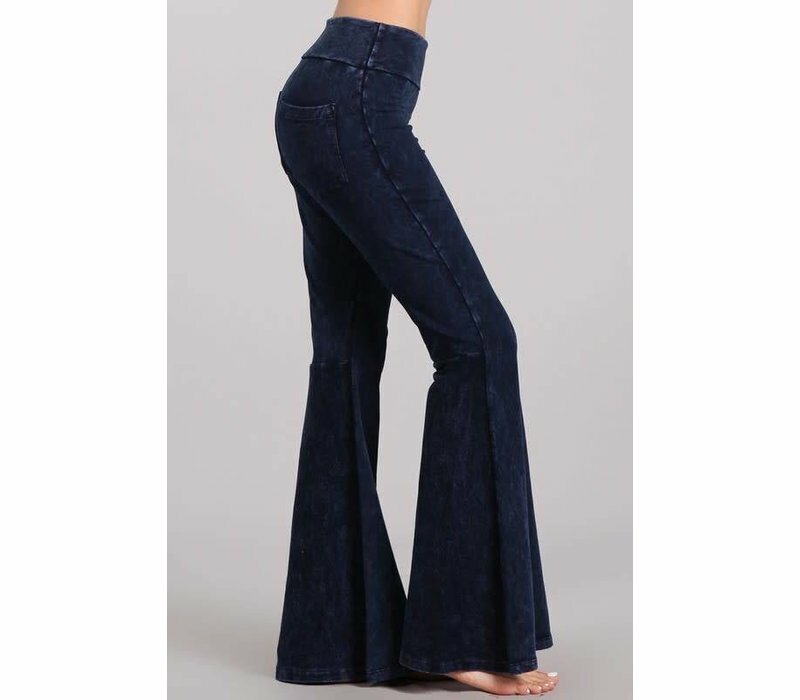 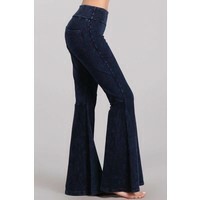 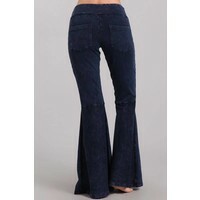 Bell bottoms are one of our BEST SELLERS! 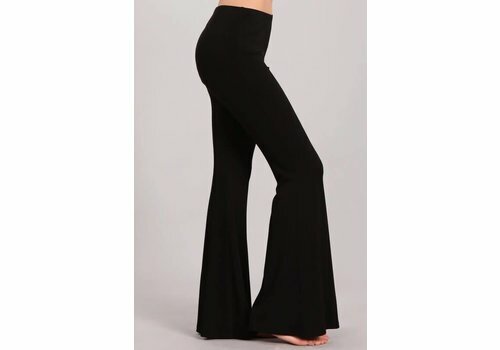 NEW pure black bells might be one of our favorites yet! 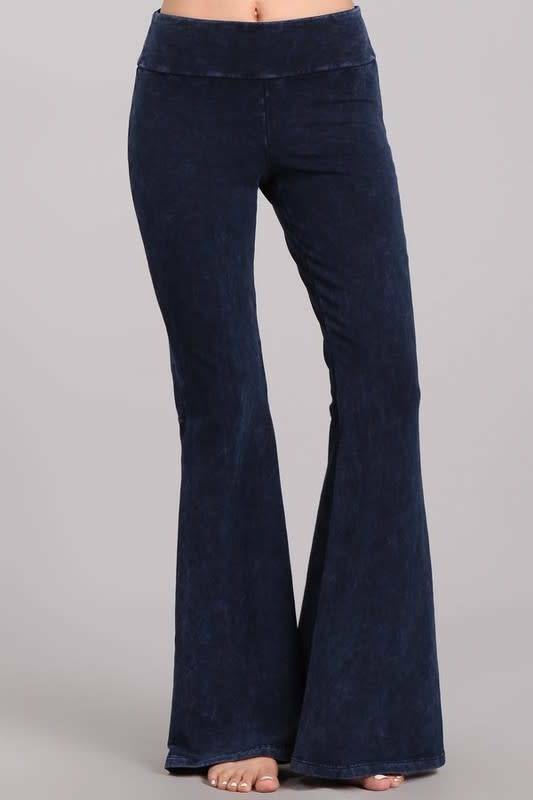 Dress up or down so easily, something you'll wear time and time again. 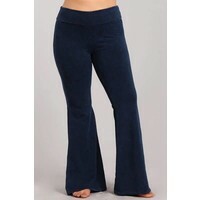 Made from the softest, non-sheer and comfy fabric.